You definitely would have seen these videos popping up all over social media in the last 6 months or so.. A Brush.. That can straighten your hair? Yep! They exsist and they actually work.. Well the Remington Keratin & Argan Oil Straightening Brush (RRP $99.95) definitely works! I have been testing it out over the last month. Now my natural hair has a little bit of every texture... It is thin (but I have a lot of it), wavy, straight and curly! Plus, I get oily roots and dry ends. My hair has also been colour treated (since I was about 16)! It is currently in the Balayage/Ombré style with blonde ends and semi-natural coloured roots. My hair below has been freshly washed and air dried with no product. As you can see, its pretty crazy. 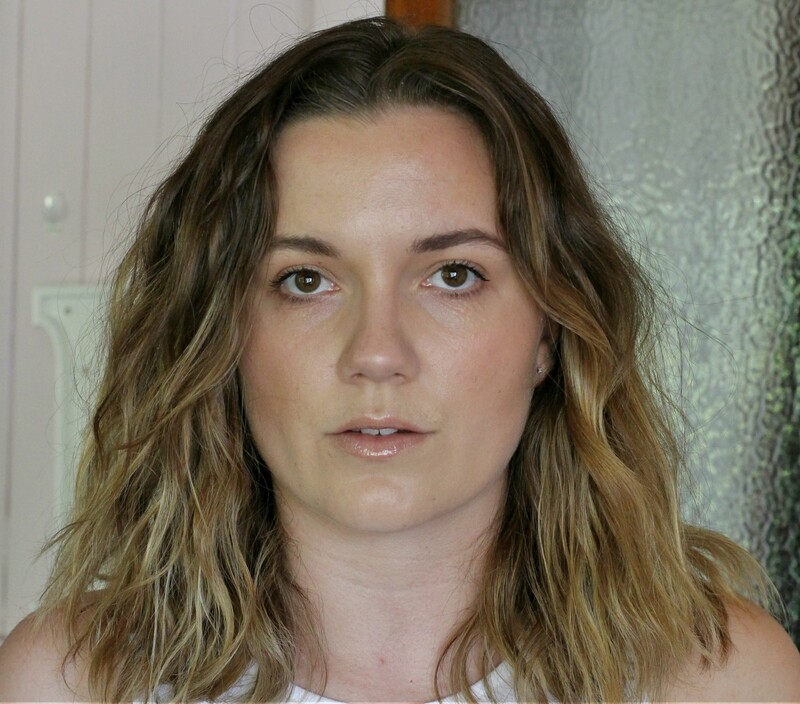 There are some gorgeous waves at the front, with a little help from a wave/sea salt spray they can be styled into a natural beach look. But air dried... nota-so-much.. The brush features a ceramic surface that is infused with keratin and argan oil. Your locks are simulaneously styled and nourished, providing strong, healthy, shiny hair! Even when you're short on time!! Keratin works to restore hair, whilst repairing and enhancing shine. Argan Oil helps to nourish and reduce frizz as the hair passes through the brush. The brush also features closely positioned ceramic bristles to provide maximum hair coverage for straight and smooth results. It has 3 heat settings for all hair types (150c - 230c) plus it also has an automatic shut off system, for all those rushed mornings. It also comes with a 3 year manufacturers warranty! Have a look at the video below to see how easy it is to style your hair with the Remington Keratin & Argan Oil Straightening Brush!! 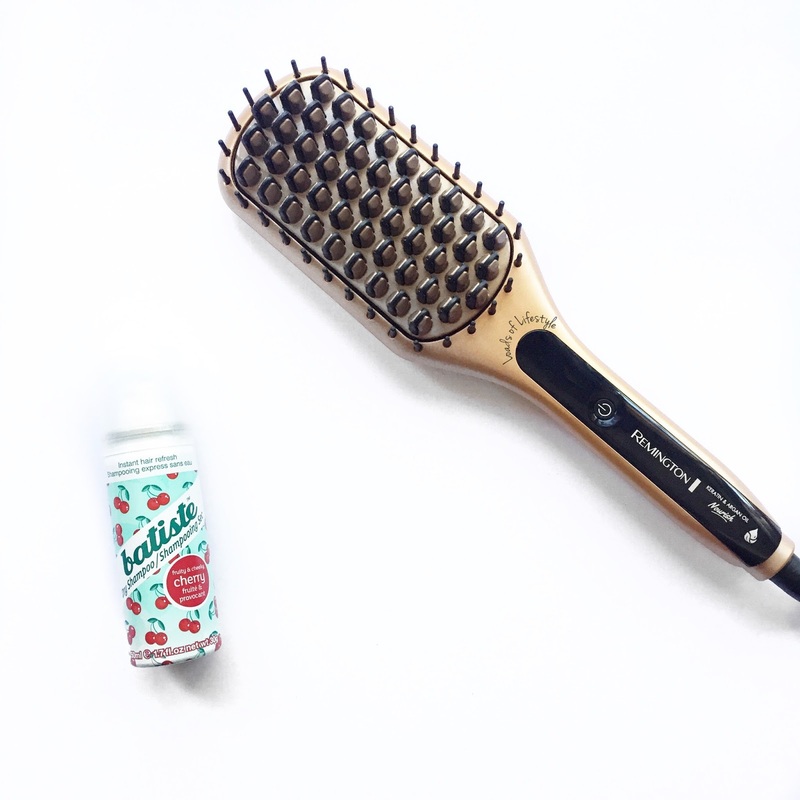 Have you tried a straightening brush before? Or would you try one?? I'd love to hear your thoughts on them in the comments below!! Ahh Mel your natural hair is gorgeous! I have to admit I am jealous - my hair has one mode: straight. It doesn't stay curled when curled, etc. This looks awesome! I sometimes straighten the ends of my hair so it doesn't "flick" out. I am in love with your natural waves! Your short, textured cut kind of makes me want to chop all my hair off! I definitely need to get me one of those straightener brushes, they look so amazing.